Imagine being able to transport your friends and family in a minivan that offers an 8-Way Power Driver Seat, a six-cylinder engine an available tri-pane panoramic sunroof; the 2019 Chrysler Pacifica that is now available makes it all possible! 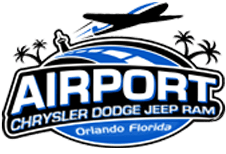 Here at Airport Chrysler Dodge Jeep Ram in Orlando, FL, we have the new car for sale that you're looking for, so end your search for a family-friendly ride that caters to your need for power and your want for comfort, visit us to meet the Pacifica. Our new and used car dealership's sales department is familiar with all the sleek trim models that are a part of this model lineup, as well as the comprehensive Chrysler warranty your new minivan comes backed by. Get your search for a ride the whole can enjoy started right now, shop the 2019 Chrysler Pacifica lineup now! Chrysler's 2019 minivan continues to give drivers the responsiveness and aggressive performance specifications they've come to expect from the brand. Powered by a 3.6-liter Pentastar® V6 engine and utilizing Electronic Stability Control, drivers can take on the road with confidence. This new 2019 vehicle even has your towing needs covered, thanks to its ability to bring along 3,600 pounds when properly equipped. Put some pep in your step, contact our new and used auto dealer to schedule a Pacifica test drive today! The fully loaded 2019 Chrysler Pacifica offers a Uconnect® Theatre, an 8.4-inch touchscreen, Bluetooth Streaming Audio, and smartphone compatibilities, ensuring all can enjoy a quick cruise around town or a long road trip. Our Chrysler sales department is familiar with all the amenities this vehicle has to offer, such as the available 4G LTE Wi-Fi Hotspot, SiriusXM®, 20-speaker Harman Kardon® Premium Surround Sound Group, and the Stow 'N Vac® integrated vacuum, so don't hesitate to ask us how you can customize your ride to boast the technologies you're looking for. While you're here at our dealership, be sure to ask our on-site auto loan center about your financing options! And when equipped with optional front crash prevention and specific headlights, the 2019 Pacifica is a 2019 IIHS Top Safety Pick. Ready to upgrade to a vehicle that comes standard with ParkSense® Rear Park Assist with Stop? Value your trade-in and upgrade today to drive off our Chrysler car lot behind the wheel of 2019 Pacifica! 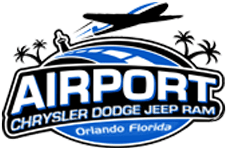 If you live in Orlando, FL near Winter Park and are in the market for a minivan that delivers a fun driving experience while meeting your technology and safety requirements, test drive the 2019 Chrysler Pacifica here at Airport Chrysler Dodge Jeep Ram. We offer customized experiences, competitive prices and assistance from friendly associates who are here to provide you with a streamlined, hassle-free process!